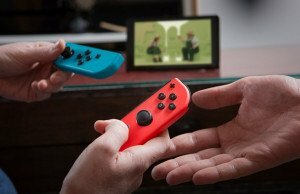 SwitchThemeInjector est un logiciel qui permet d’injecter les thèmes et d’appliquer des correctifs common.szs et remplacer simplement le bntx,actuellement le développeur a mis son logiciel à jour ,il passe désormais en version 3.2. Donc dans cette nouvelle version les mises en page personnalisées ont été prise en charge ,et il est possible de Convertir automatiquement les images en DDS. Le développeur SciresM propose au public la première version du custom firmware atmosphère v0.7.0,qui supporte officiellement Fusée, Exosphere, Stratosphere, service manager, service de processus, le système module fs.mitm, et un système module pour les crashs. 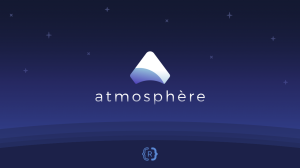 0.7.0 is Atmosphère’s first official release. Supports loading a custom kernel from the SD card (« /atmosphere/kernel.bin »). All patches at paths like /atmosphere/kip_patches/<user-defined patch name>/<SHA256 of KIP>.ipswill be applied to the relevant KIPs, allowing for easy distribution of patches supporting multiple versions. An exefs NSP (default « /atmosphere/hbl.nsp ») will be used in place of the victim title’s exefs. Files present in the original exefs a user wants to mark as not present may be « stubbed » by creating a .stub file on the SD. If present, a PFS0 at /atmosphere/titles/<titleid>/exefs.nsp will fully replace the original exefs. All patches at paths like /atmosphere/exefs_patches/<user-defined patch name>/<Hex Build-ID for NSO to patch>.ips will be applied, allowing for easy distribution of patches supporting multiple firmware versions and/or titles. Compile-time support for reintroduction of « smhax », allowing clients to optionally skip service access verification by skipping initialization. Actuellement le linker AceNS Loader est disponible sur Digimaniaz.com,qui permet d’injecter facilement les payloads par exemple atmosphère ,ReiNS ,SX OS. La version 2.2 beta du SX OS a été mise en ligne par la team Xecuter ,ils propose des nouveautés et des améliorations dans cette nouvelle version .par exemple ,le support USB a été rajouté. People were reporting « freezes » during cheat searches, often times these were just due to impatience and a suboptimal UI from our end. The progress bars are more honest and update more frequently now! The interface for « applying » the cheats was a bit counterintuitive, you now no longer have to press the plus (+) button in order to apply cheats. They are automatically applied/disabled once you toggle them. Disabling cheats now properly works as well, so there’s no need for having a dummy cheat any more to work around that limitation. SX PRO et la licence du SX OS sont disponible sur Digimaniaz.com,au prix plus bas avec la livraison gratuite! NXRedirect est un logiciel qui permet de exécuter n’importe quel homebrew à partir de l’écran d’accueil. ce logiciel est développé par le développeur américain Midstor.actuellement la première version est prêt à télécharger . Pour utiliser cela,il faut bien nommer le fichier NRO en « app.nro » afin d’éviter le blocage ,et il suffit de placer le fichier NRO dans le répertoire « sdmc:/NXRedirect/app.nro » . I’m not responsible for bans or corrupted ticketDB etc. La team Xecuter SX a publié la mise à jour du sx os qui passe désormais en vernis 2.0.1 ,ils indiquent que cette version a amélioré la la stabilité de l’OS,donc quelque sbugs ont été corrigé .la version 2.1 beta est également disponible . — What’s new in SX OS v2.1 BETA? SX OS v2.1 beta introduces our brand new cheat engine and cheat finder. Many people requested a way to cheat in games or aid in finding cheats for games, so it has been high up on the priority list for a while. We’re curious to hear your feedback about this initial version of our game cheat addition to SX OS. As of now we don’t have a big library of game cheats available yet, but we hope the community will come up with some cool ones that they will share publicly. Finding cheats and making (reliable) cheat codes for Switch games can be a laborious task and is in certain aspects a bit more involved than finding cheats for, say, a classic gameboy game! For that reason we have written a small reference guide [HERE] for the aspiring cheat hackers out there detailing the format of our cheat codes, caveats that need to be accounted for, and small tips to bring you up to speed. — Closing words Go update your SX OS to v2.0.1 now by downloading the latest version from our website or using the online updater in SX OS itself. If you’re feeling adventurous, give the v2.1 beta a shot, which is also available to you through the online updater in SX OS. SX PRO et la licence SX OS sont disponible sur Digimaniaz.com,au prix le plus bas du marché avec la livraison grauite.